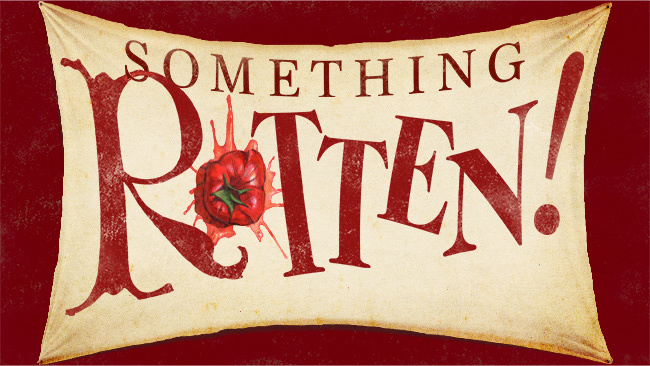 Work Light Productions is proud to announce the complete cast for the National Tour of SOMETHING ROTTEN!, which makes its Wisconsin premiere at Overture Center Tuesday, Oct. 9-Sunday, Oct. 14. 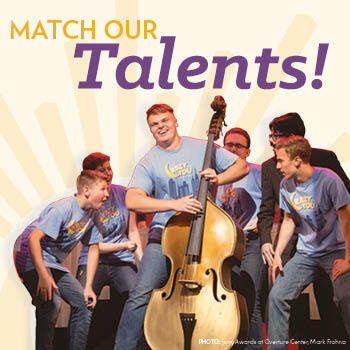 Local actor and arts administrator (Children’s Theater of Madison, Four Seasons Theatre, Capital City Theatre) Brian Cowing will join the national tour’s ensemble. The touring cast features: Matthew Baker as Shakespeare, Matthew Janisse as Nick Bottom, Greg Kalafatas as Nostradamus, Emily Kristen Morris as Bea, Mark Saunders as Brother Jeremiah, Jennifer Elizabeth Smith as Portia, and Richard Spitaletta as Nigel Bottom. In addition to Cowing, the ensemble includes Drew Arisco, Abby Bartish, Emma Benson, Zachary Bigelow, Katie Scarlett Brunson, Julian Burzynski Jr., Alex Eisenberg, Tim Fuchs, Robert Head, Devin Holloway, Danny Lopez, Keeley Anne McCormick, Nick Pankuch, Aveena Sawyer, Allison C. Scott, Peter Surace, and Dorsey Ziller. SOMETHING ROTTEN! was originally directed and choreographed by Tony® Award-winner Casey Nicholaw (Mean Girls, The Book of Mormon, Aladdin), with music and lyrics by Grammy Award-winner and Tony Award nominee Wayne Kirkpatrick and Golden Globe Award and Tony Award nominee Karey Kirkpatrick and a book by Tony Award nominees Karey Kirkpatrick and best-selling author John O’Farrell. The award-winning design team of Broadway veterans includes Scott Pask (scenic design), Gregg Barnes (costume design), Jeff Croiter (lighting design), Peter Hylenski (sound design), Josh Marquette (hair design), Phil Reno (music supervision), Glen Kelly (arrangements), Larry Hochman (orchestrations), Steve Bebout (associate director), Brian P. Kennedy (associate music supervision) and casting by Wojcik | Seay Casting. This hilarious new musical comedy tells the story of brothers Nick and Nigel Bottom, two playwrights stuck in the shadow of that Renaissance rock-star Will Shakespeare. When a soothsayer foretells the next big thing in theatre involves singing, dancing and acting at the same time, the Bottom brothers set out to write the world’s very first MUSICAL! With the most singing, the most dancing and the most gut-busting laughs on Broadway, it’s something wonderful… something for everyone… It’s SOMETHING ROTTEN!, “the funniest musical comedy in at least 400 years” (Time Out New York)! With its heart on its ruffled sleeve and sequins in its soul, SOMETHING ROTTEN! is an uproarious dose of pure Broadway fun and an irresistible ode to musicals — those dazzling creations that entertain us, inspire us, and remind us that everything’s better with an exclamation point! SOMETHING ROTTEN! 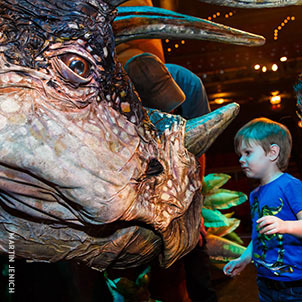 is part of the Broadway at Overture Series, presented in partnership with Broadway Across America. SOMETHING ROTTEN! 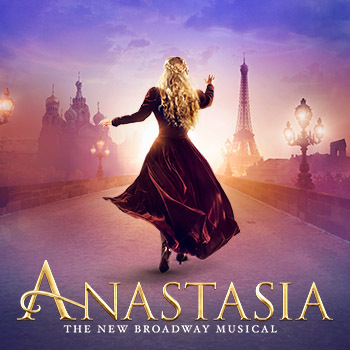 was originally produced on Broadway by Kevin McCollum, Broadway Global Ventures, CMC, Mastro/Goodman, Jerry & Ronald Frankel, Morris Berchard, Kyodo Tokyo Inc., Wendy Federman, Barbara Freitag, Lams Productions, Winkler/DeSimone, Timothy Laczynski, Dan Markley, Harris/Karmazin, JAM Theatricals, Robert Greenblatt, Jujamcyn Theaters.